The Portlethen area is finally getting its own household waste recycling centre. Full planning permission for the recycling centre at Badentoy industrial estate was given on Tuesday by Kincardine and Mearns Area Committee, subject to appropriate conditions. 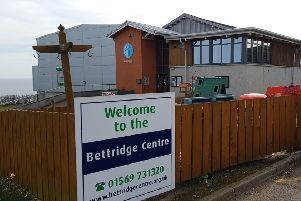 Plans for a recycling centre in the town have been ongoing for several years, and finding a suitable location was a main issue. The site at Badentoy was selected in 2012, but various delays have meant that planning permission was not granted until now. The contract for the final design for the recycling centre was also approved by the area committee. Construction works are due to commence in July with an expected completion of December. The site is hoped to be operational early 2016. What do you think? Get in touch and let us know, email news@mearnsleader.com or phone us on (01569) 762859.